Ahhh February! 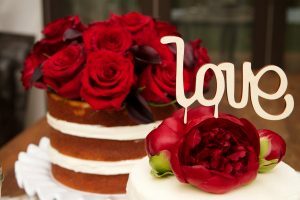 The month of love! 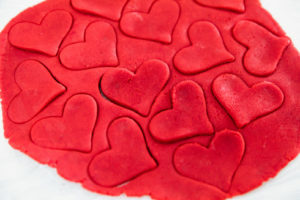 It’s raining cats and dogs here in Los Angeles, and I know much of the country is socked in with the polar vortex, so hopefully these Red Velvet Heart Cookies can warm you up this Valentine’s Day and spread the love. The cookie recipe is a cinch, and the stencil decorating is even easier – and fun to do with the kiddies. 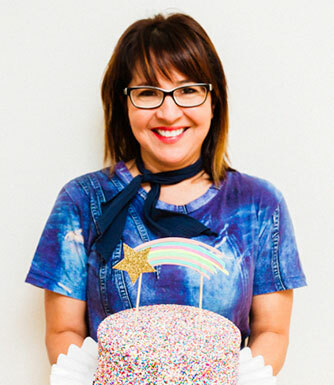 In fact, this recipe is on my list of kid workshop options that I’ll be offering this month. If you’re in the LA area and interested in signing up your 8-12 year old, send me a note at [email protected]! 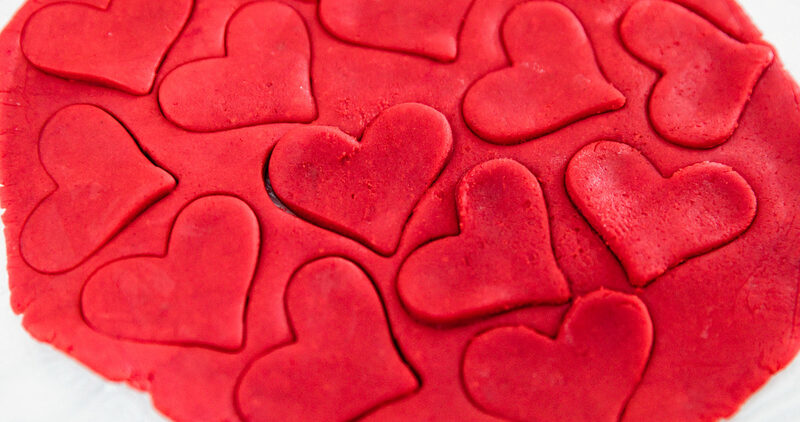 A huge shout out to this Red Velvet Heart Cookie recipe from Better Homes & Gardens. 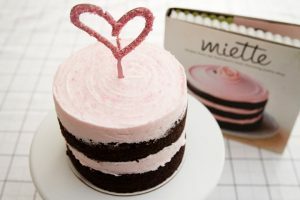 A couple of fun ingredients are the unsweetened cocoa powder and liquid red food coloring. 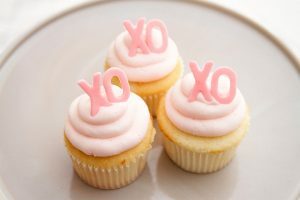 Chill the dough for an hour, then roll it out in batches and cut with these lovely heart-shaped cutters. 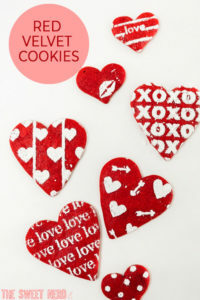 Stencils are so darn easy and puts your own personalized stamp on these sweet heart cookies. 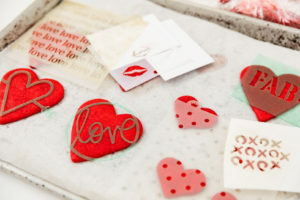 There are zillions of stencils out there, but the ones I looooved are these valentine’s stencils by Heidi Swapp that I purchased at Michaels. And, well my dear friend Juan of Crownhill designs made these street vibe stencils for me too! The stencils I chose were lips (smack! 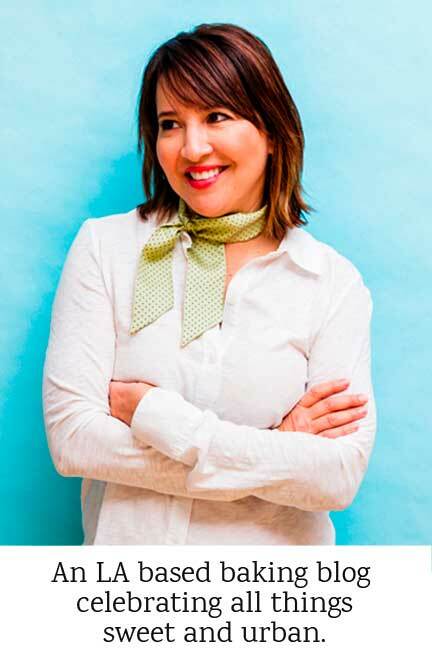 ), xoxox, hearts and arrows, polka dots, and messages like FAB. 1In a large mixing bowl beat butter on medium to high 30 seconds. Add sugar, cocoa, baking powder, and salt. 2Beat until combined, scraping sides of bowl occasionally. Beat in eggs, food coloring, and vanilla until combined. Beat in as much of the flour as you can with the mixer. Stir in any remaining flour. Divide dough in half. Cover; chill dough 1 hour or until easy to handle. 3Preheat oven to 375 degrees F. On a floured surface roll half the dough at a time to 1/4-inch thickness. 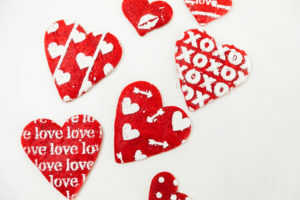 Cut dough using a 21/2- to 31/2-inch heart-shape cookie cutter. Place cutouts 1 inch apart on ungreased cookie sheets. 4Bake 6 to 7 minutes or until edges are firm and bottoms are very light brown. 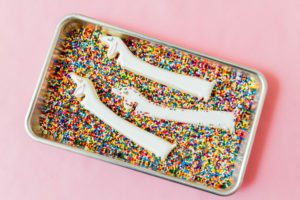 Transfer cookies to wire racks to cool. 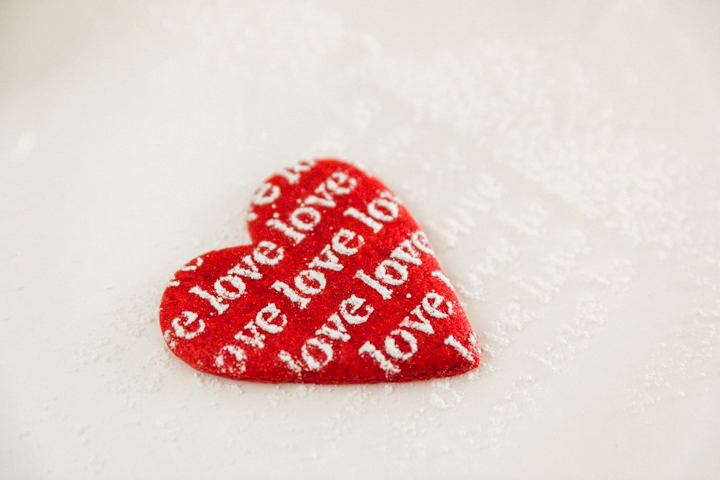 Sprinkle with powdered sugar, using stencils if desired. Makes forty-six 21/2-inch or twenty-two 31/2-inch cookies.